Hobo Mama: Introducing NaNoProgMo: National Novel Progress Month! Introducing NaNoProgMo: National Novel Progress Month! How many of you are writers with half-finished novels? How many of you have novel ideas in your head but have never committed to writing them down? How many of you are tempted by the thought of NaNoWriMo but parenting and work and holidays get in the way every November? As I mentioned over on LaurenWayne.com, after three years of winning NNational Novel Writing Month (NaNoWriMo), I've decided what I most need this year is not to write another half-baked novel but to finish (baking) the novels I've written already! Teresa from Mom Grooves, who has her own writing section, Write On, Mom!, has teamed up with me to offer any of you a chance to join us this month in making progress on our novels, whatever that progress might be. We're calling it NaNoProgMo, or National Novel Progress Month. Head over to LaurenWayne.com to read the details and sign up on the linky to join us! For you, it might be starting to write a novel, or continuing one you've already begun. It might be doing research or brainstorming ways to get your plot unstuck. It might be attending a critique group, or polishing a final draft. Wherever you're at in your novel writing, commit with us to a certain amount of time each day this month to work on your novel's progress. You get to choose how much time you pledge, whether that's 15 minutes or 3 hours. Sneak it in during naptimes, playdates, or after the kids go to bed. Ask a partner or friend to help you so you can find opportunities to write. See this as a gift you're giving yourself: the time to be a writer, to pursue the dream you've had for so long. Subscribe to Mom Grooves & LaurenWayne.com. 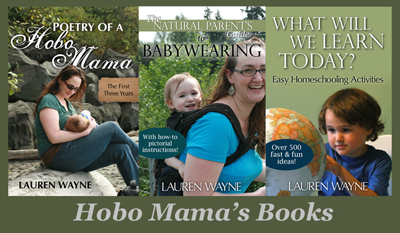 Like us on Facebook: Lauren Wayne, author & Write On, Mom! We'll be rolling out a button, progress meters, fun charts — and a prize for the finishers! Now sign up, and go make some progress, starting today. Woop de doo!! Now I need to get my first hour done! I can't wait. Even if it's after her bedtime and I'm bleary eyed, I'll be so happy to start. @teresa: I know, right? I'm so excited it starts today! It means our novels are on their way to being finished. :) Woohoo! Cool. I think I can actually do this! I guess I'm a little late though. Hm...I wonder what kind of time commitment I should make? @Lisa C: Starting late is not a problem. We got our post up kind of at the last minute. :P Just jump in — we'd love to have you!